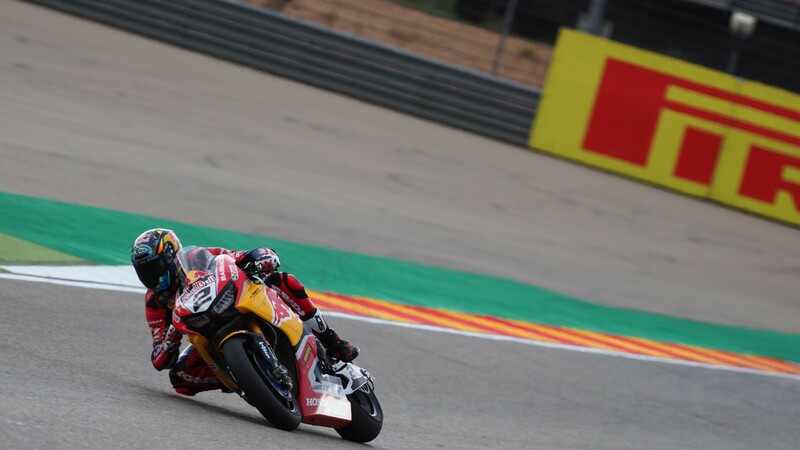 Red Bull Honda World Superbike Leon Camier is set to miss Sunday’s race around MotorLand Aragon following a crash in race one, which left him with a fracture of the posterior ribs 9, 10 and 11 on his left side with a lung contusion but his condition is stable. After his crash at turn 10, the British rider was attended to by Clinica Mobile staff at the circuit, before being transferred to Alcaniz Hospital for further assessment. 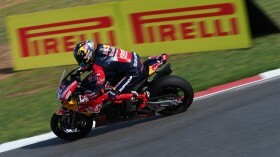 Red Bull Honda World Superbike Team have added that Leon is in good spirits and the team would like to thank all his fans and supporters for their well wishes.